BRING US AN OFFER!! $5,000 CREDIT ALLOWANCE ADDED!!! Stunning "Juniper" Designer in a prime central location near Lake Sumter Landing! 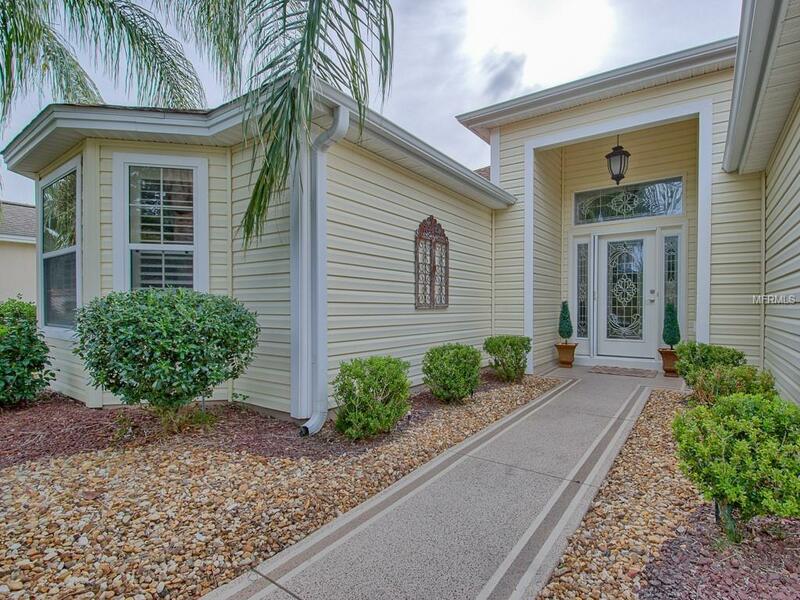 This POOL home with REAR PRIVACY has all the UPGRADES!! NEW A/C 2018!! 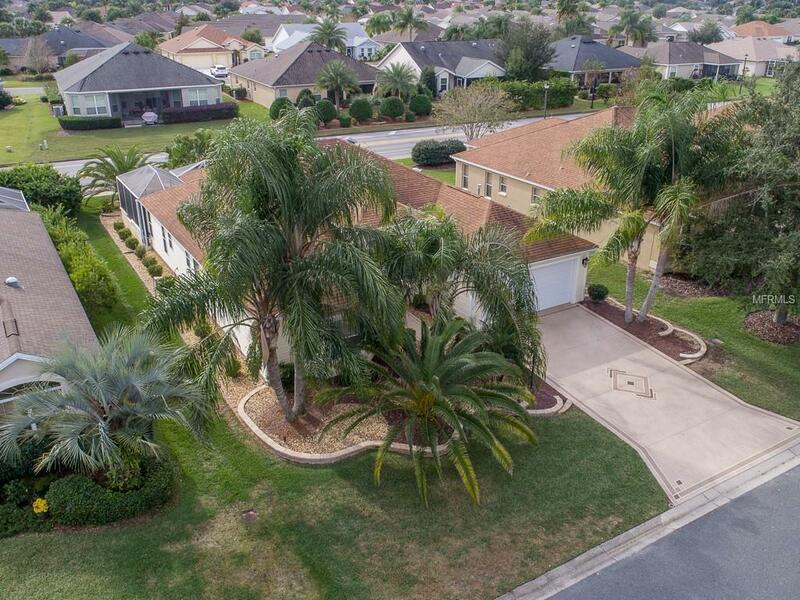 The outside features tropical landscaping and NEW PAINTED DRIVEWAY! As you walk through the GLASS ENTRY doorway with sidelights, you will notice the beautiful DIAGONAL TILE FLOORING throughout the home. The interior also features high ceilings, 7" baseboards, CROWN MOLDING, PLANTATION SHUTTERS, and SOLAR lighting! The kitchen offers NEW STAINLESS STEEL appliances, pull out drawers, Lazy Susan, backsplash and GRANITE counter tops! The INDOOR laundry room has built-in cabinets and desk! GRANITE countertops are also placed throughout both bathrooms. The Master bathroom showcases dual DESIGNER sinks, pullout drawers, separate commode, walk-in shower and large walk-in closet! 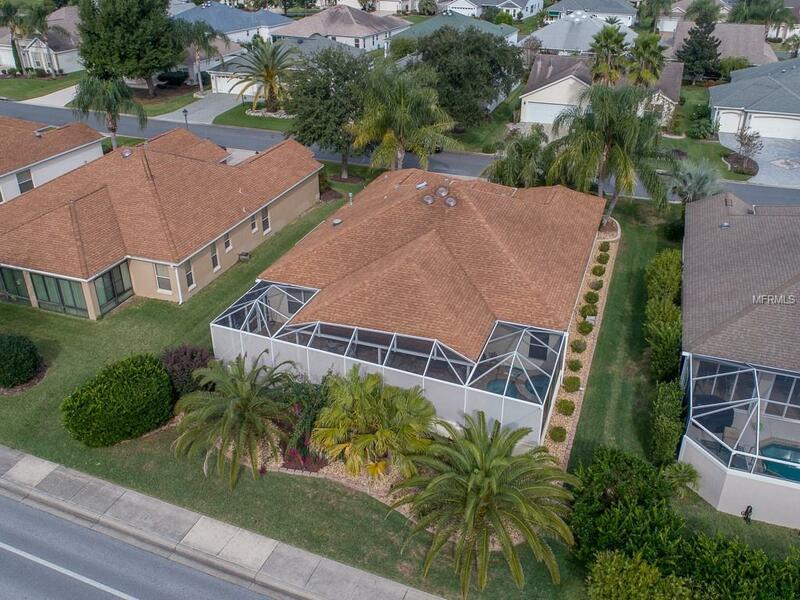 The large outside covered screened-in patio offers PAVER FLOORING, an "L" shaped POOL with beautiful night lighting, JACUZZI/SPA, FOUNTAIN and two tropical murals! This screened-in oasis is where you will want to enjoy your morning coffee! 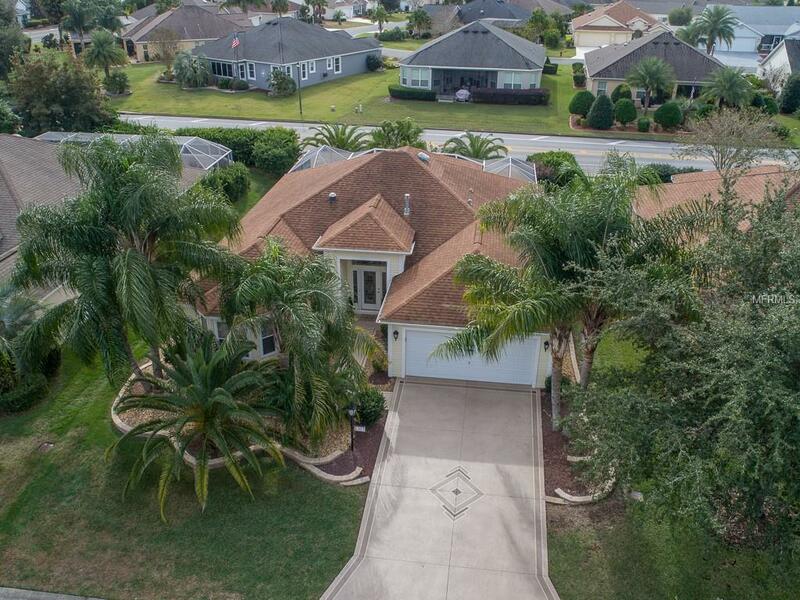 This home is a short distance to the neighborhood pool, postal station and Lake Sumter Landing!